Don't be distracted by the beauty of the course, the MCM10K brings some serious runners and some serious times. The Records book lets you see the winning names and times from each year as well as how much the race has grown from 2008. Do you have what it takes to have your name in our book? 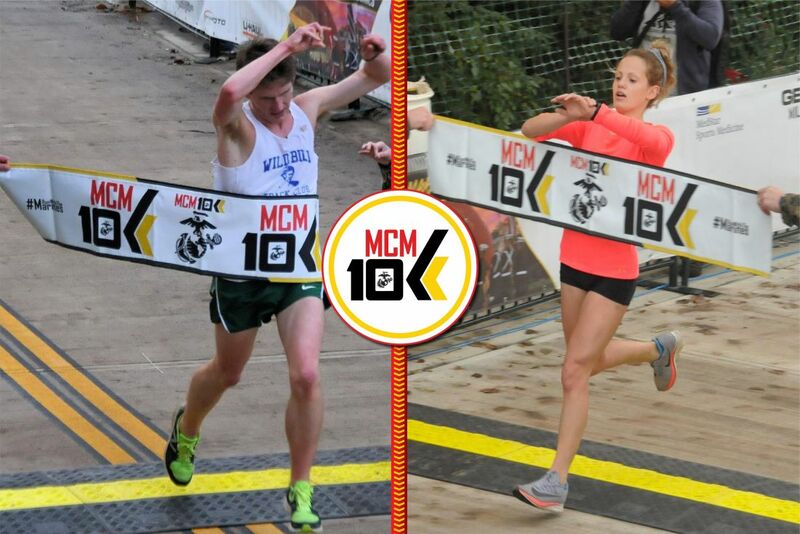 From Washington, D.C., John Butler won the 2018 MCM10K with a finish time of 32:15:77. While Mary Reiser, from Baltimore, MD, was the first female finisher of the 2018 MCM10K at 36:17:04. The MCM10K overall awards ceremony will be hosted at 9:30 a.m. near the finish line on the Marine Corps War Memorial. Top three finishers in the following increments: 8-10, 11-14, 15-19, 20-24, 25-29, 30-34, 35-39, 40-44, 45-49, 50-54, 55-59, 60-64, 65-69, 70-74, 75+. Age awards are determined by chip time. 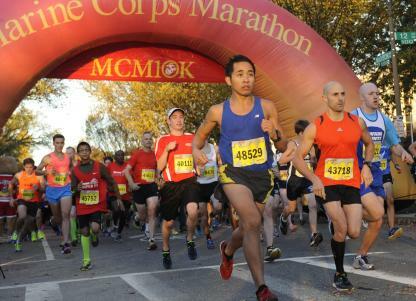 The MCM10K starts at the National Mall and finishes at the Marine Corps War Memorial. Visit Arlington, VA, the home of the MCM.